Home Home Page Notice Board Every Day food for kids. Not everything on your kid’s plate has to be a superfood. But children need at least a couple of servings daily from each of the five main food groups: grains, healthy fats, fruits and veggies, dairy, and protein. Find out exactly how much your child needs based on her age, see what counts as a portion, and learn why you should bother. At least half of your kids’ grain servings should be the unrefined type — like whole wheat or oats — because they pack more vitamin E, magnesium, and fiber than their processed counterparts. 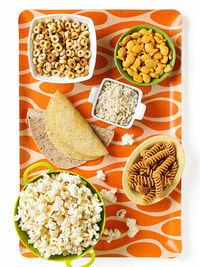 These “whole” grains may also reduce your kids’ risk of asthma, diabetes, and, later in life, heart disease. If your family is having trouble making the transition, look for breads and pastas made with a mix of whole and refined grains. Your kids may not notice the difference. Still, it’s okay for kids to have regular pasta or white bread sometimes. 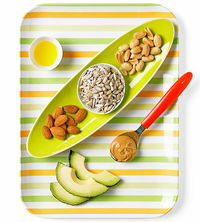 All kinds of fats help kids grow, transport vitamins through the body, and provide vitamin E. But the unsaturated type, such as the kind in olive oil and peanuts, protects kids’ hearts by keeping their cholesterol level low while the saturated kind (think butter) sends it through the roof. Crazy as it sounds, a government report found that 1 in 5 children has high cholesterol! Ideally, you’ll divide the servings fairly equally between the two. 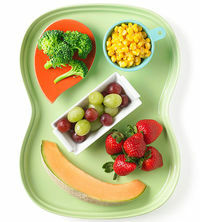 But if you have a picky eater, set this minimum goal: at least one serving of dark-green or orange veggies daily. They have unique disease-preventing compounds. And take comfort in the fact that tomato sauce, salsa, and baked fries count toward your child’s veggie servings too. If your kid is a milk lover, it’ll be no sweat for her to get the 800 milligrams of calcium she needs daily for strong bones and teeth (or just 500mg, if she’s between 1 and 3). 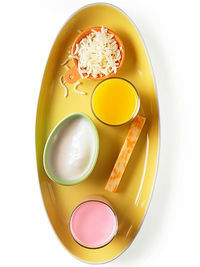 Otherwise, focus on low-fat yogurt, cheese, and up to 6 ounces of fortified fruit juice. Look for brands that contain vitamin D, which, among many other things, helps kids absorb calcium. Protein-rich foods help build and repair every tissue in the body that kids need to grow. They also contain must-have nutrients — like iron, zinc, and B vitamins. Shop for the leanest meats (such as skinless chicken, turkey, or a cut of beef with “loin” or “round” in its name) to get protein minus the unhealthy fats. 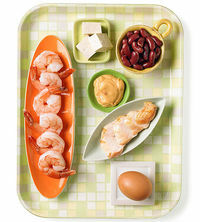 At least once a week, kids should also eat fish and beans, which have nutrients that are not found in meat. Look for seafood such as shrimp, cod, and wild salmon that is low in mercury and is sustainably caught.